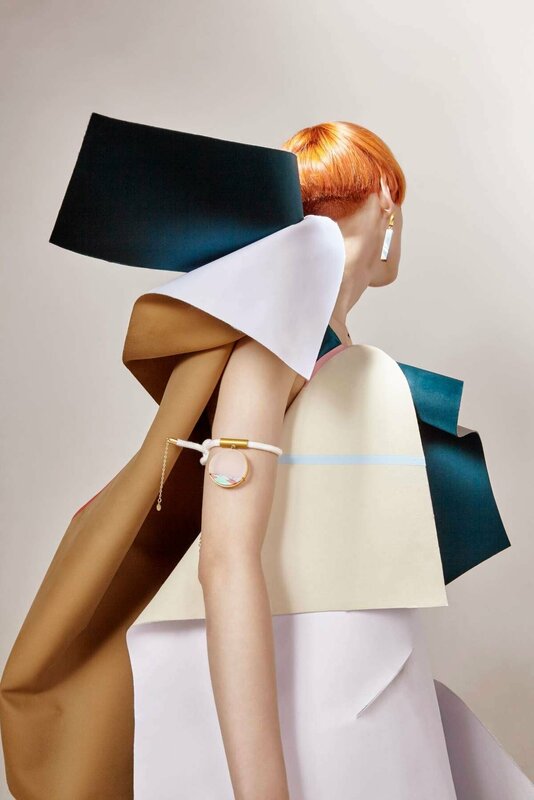 Ejing Zhang graduated from the Royal College of Art with a MA in Textiles Design specializing in Mixed Media. She is highly influenced and driven by color and texture which is seen in her work through an array of vibrant color palettes, thought out material combinations and pattern creations. She has worked with companies like Mercedes Benz Advanced Design Studio, Givenchy, Alexander McQueen, Sony etc. In 2013, Ejing was commissioned by Global Fashion Awards to produce that year's trophies.